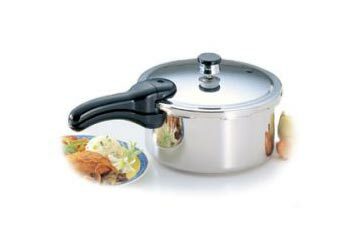 National Presto Industries features some of the best aluminum pressure cooker and stainless pressure cookers money can buy. 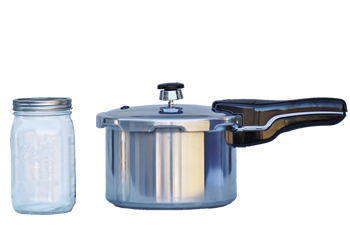 The Presto Pressure Cooker has been in demand with consumers since 1939 and our selections of Presto pressure cookers are offered below. 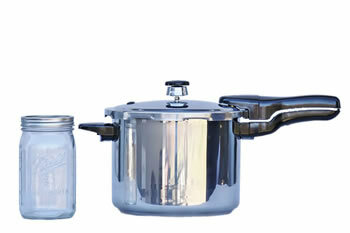 "You can use a pressure canner for cooking, however you CANNOT use a pressure cooker for canning. Why not? Is it size? Or pressure?" 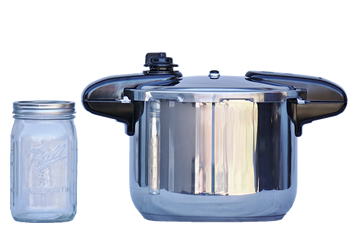 We want to share with you our answer, to help you better understand the difference between a pressure cooker and a pressure canner. 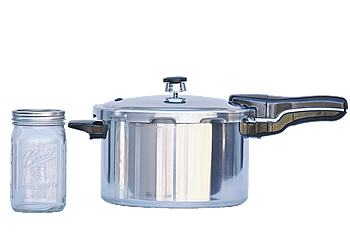 One part of the difference is size (it would be very hard to fit certain jars in a pressure cooker). However, from our experience, what information we can find, and stories from our customers: the main issue of not being able to can in a pressure cooker is that the pressure cooker heats up and cools faster than a pressure canner does. This quick heating and cooling does not allow adequate processing time for your cans to go through the proper process inside of a pressure cooker. This absence of the proper process could ultimately lead to problems with botulism in your canned goods. 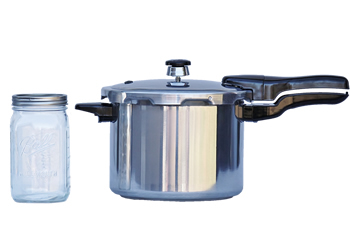 Read more Pressure Cooking FAQ here.